Historically viewed as a vehicle for entertainment or the occult, hypnosis has slowly gained recognition as an effective tool in the medical arts, sports programs, and stress seminars. Gradually law enforcement specialists also have used hypnosis - specifically forensic hypnosis - as a powerful tool when collecting information from the witness. Hypnosis serves police and prosecutors by enabling the witness to recall minute details that they had previously forgotten due to momentary excitement or fear. Investigative Forensic Hypnosis presents the practical application and scientific side of this subject, explaining forensic hypnosis in an understandable way, answering many common questions, and identifying its practical use in the courtroom. The author, with 22 years of experience in law enforcement and 14 years experience in forensic hypnosis, brings his outstanding law enforcement background and valued expertise to this important, informative handbook, dissolving misconceptions or doubts and illuminating forensic hypnosis as a valuable advantage in any case. 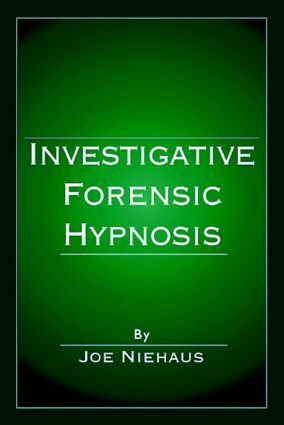 This book provides the framework for hypnosis as a successful and dependable tool to assist in investigations - not to solve crimes by magic but to provide useful, indispensable clues and details. This technique improves information gained from that most important asset in a case - the witness. Understanding the proper guidelines provided in Investigative Forensic Hypnosis can make a good witness a great witness. "…[demonstrates] a first-hand awareness of this extremely vital need and use…interesting and informative…the use of procedures and examples are excellent."